Well, we’re a month into 2016 now and my Sky Blanket project is still going – which is a good start. It’s become enough of a habit now that even if I miss a day, I always pick it up and catch up. I have taken to making a note in my diary each day of which yarn(s) I’ve chosen for that day’s section so even if I don’t sit down and do it that day for whatever reason, I have a note of it. That also makes me get my diary out every day which is another good habit I am aiming to keep up. 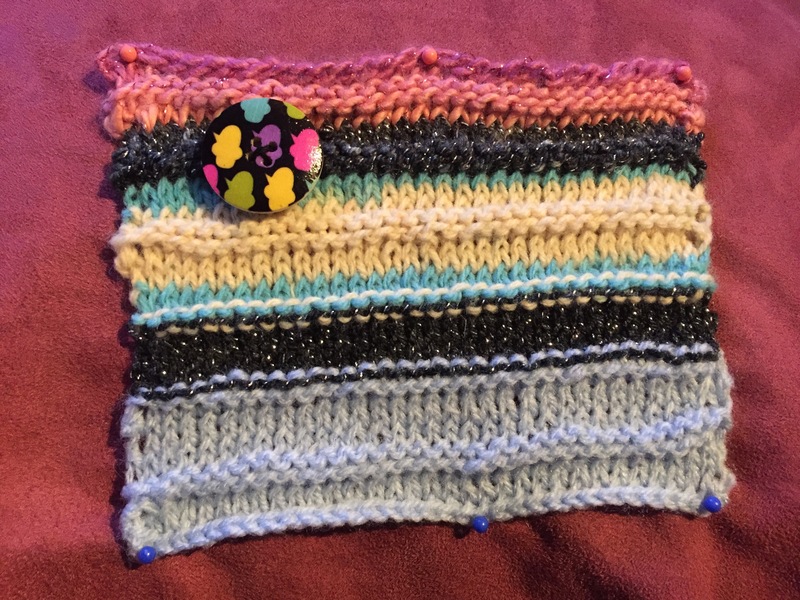 Well, my Week 1 (1st-7th) square is… wonky. It is weird and floppy at one end and I’d really prefer it if you didn’t study it too closely because some of the stitching is suspect at best. 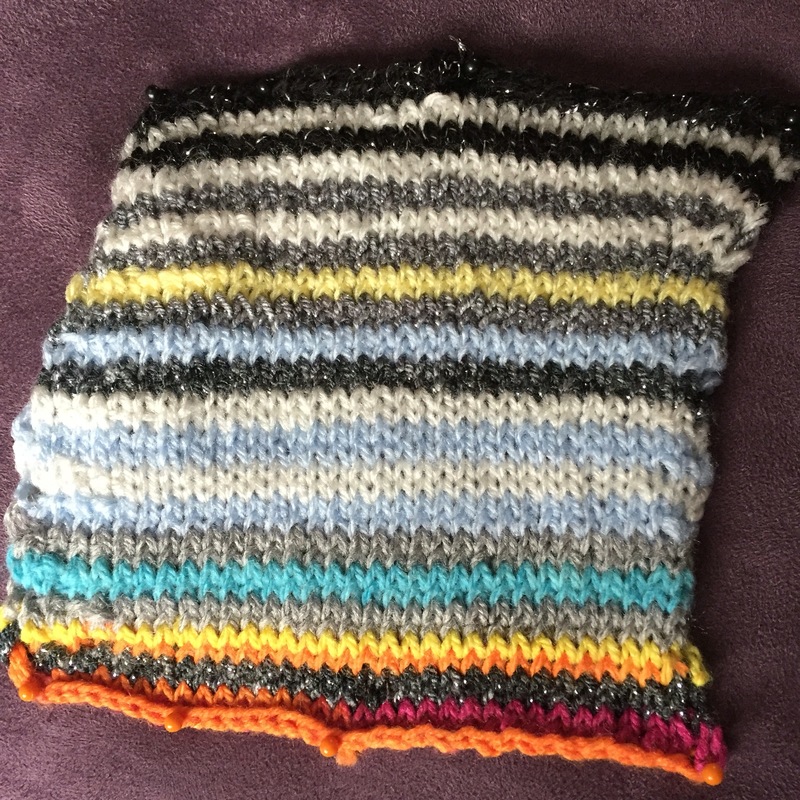 I did a super basic striped square for this week where I had three stripes of colour for each day so I got to incorporate all the different colours I saw in the changeable January weather. The sparkly grey represents rain, plain grey is overcast weather – the shade of grey representing how bright/dark the sky was. The first day is black with sparkles because the sky at just gone midnight was beautifully clear and full of stars and fireworks – the last day involved rainbows which was nice and bright at least. The Week 2 (8th-14th) square is MUCH better – it’s amazing what regular practise can do. The pattern for this week was still basic but a bit more exciting, featuring horizontal ridges across it, giving it a bit of texture. This one is the same width at the top and the bottom and once I have blocked it out properly will actually be a square shape over all, which definitely beats the last one. I only did one colour a day for this week and there were lots of similar days so there’s a big patch of my cloudy-with-patches-of-blue yarn and also my watery-winter-blue colour. As ever, my sparkly grey rain yarn is a feature. SO glad I decided rain should be sparkly instead of just plain grey and I am a little in love with my sunrise yarn – it’s so pretty! I got all adventurous (for a person who only started knitting in September) in Week 3 (15th-21st) and picked a pattern that knitted on the diagonal instead of in rows. This involved learning how to increase and decrease properly and neatly. 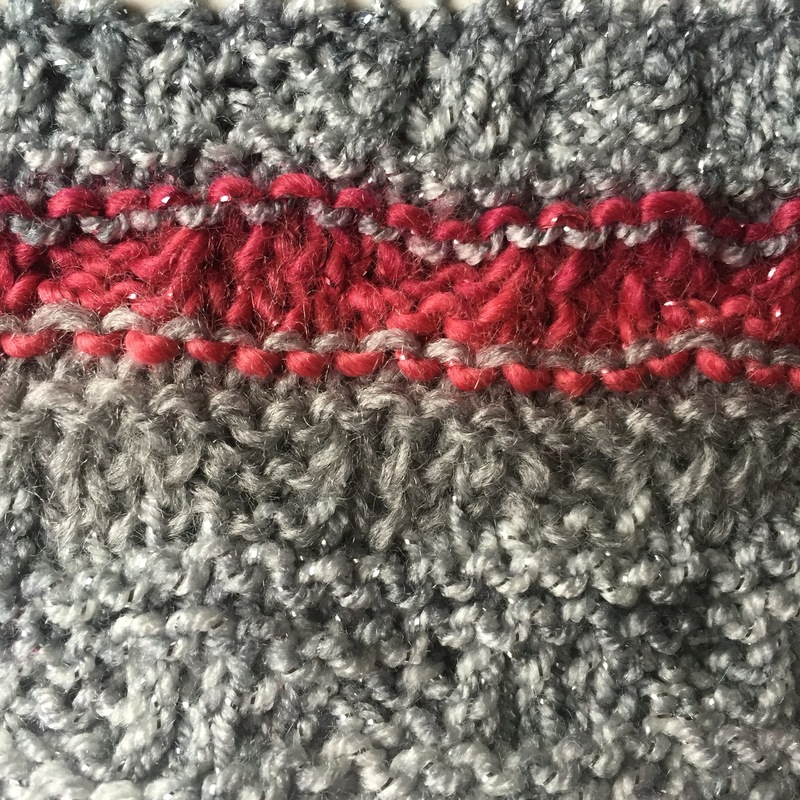 I quite enjoyed this square – I like knitting on the diagonal and how the square seems to grow much quicker than doing rows which somehow feels shapeless as you go along. I got to start with my favourite sunrise yarn this week after a spectacular display from the sky on the Friday morning, which was good as the next few days were…wet and grey. Except for Wednesday which was a beautiful cloudless winter blue all day. 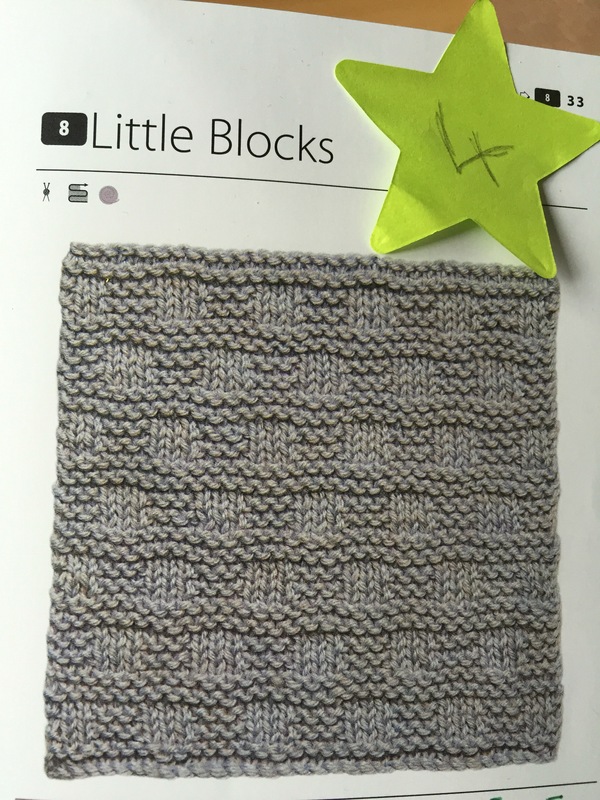 For my Week 4 (22nd-28th) square I decided to try another texture pattern of ‘Little Blocks’ – I really struggle with switching between knitting and purling in the same row for some reason. I often end up in a horrible messy muddle, so I thought I’d give myself a bit of a challenge. It sort of worked but I’m not overly happy with it. Also, this has been a very grey, rainy week!! The Sky Blanket 2016 project is being hosted with a monthly linky by Tiddlyompompom at You Little Sew & Sew, The Boy and Me and Aly at BugBirdBee but every person involved is making their own blanket (or scarf, or whatever) their own way. Between update posts on CFHW I put photos and updates on my Twitter, Instagram and Facebook Page feeds if you want to follow my progress as I go along. I’m Also linking this post up to Michelle’s Share The Joy linky because January has been a tough old month and sitting down creating this Sky Blanket each day has been a massive help in making me feel like I am actually achieving something and time is indeed moving on and not wallowing in a grey cloud which is how it has felt some days. What a beautiful idea. I sort of knit and crochet (badly), and know how calming they are. I love the use of the colours of the sky to choose the colour. Look forward to seeing more of this project. Wow, I can’t believe you’ve only just started knitting! 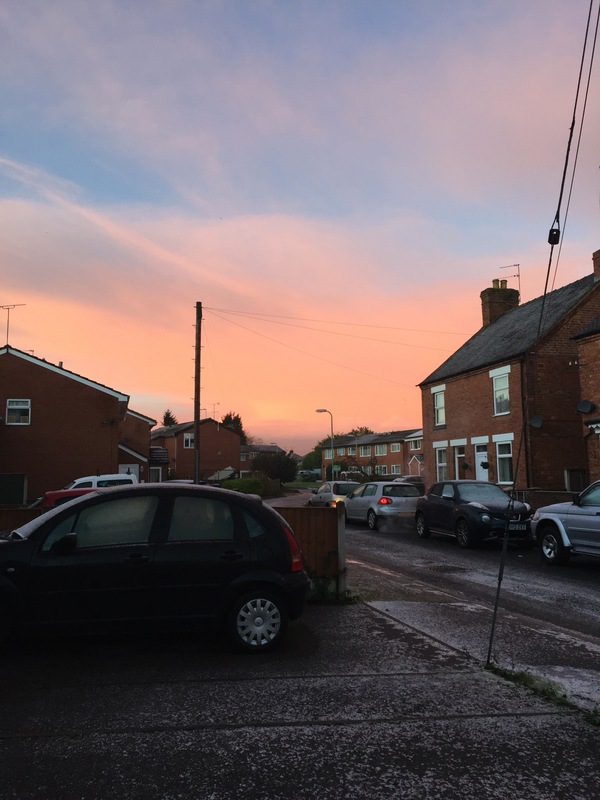 It’s beautiful and I love how you’ve incorporated all the different colours of the sky. It is amazing how much more attention I pay to the sky every day now – it’s actually quite lovely. A temperature one is a really good idea too, I hadn’t thought of that.